March 15th was a sunny Saturday, perfect for enjoying another LI Winterfest performance. 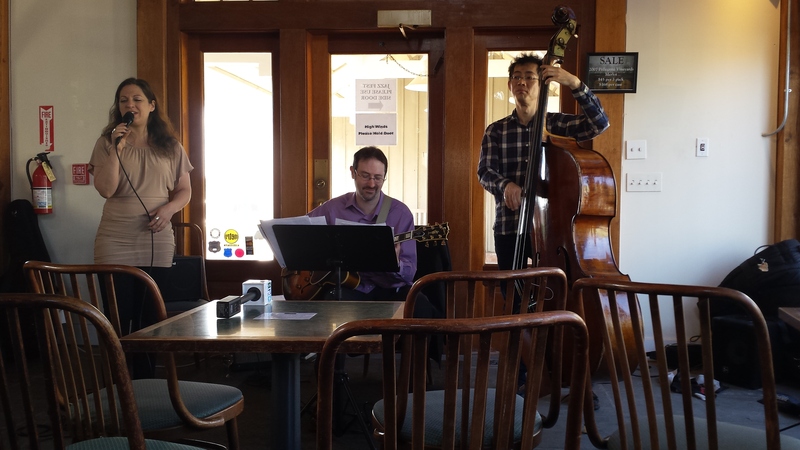 This time, our friend Kenny accompanied me to Pellegrini Vineyards to enjoy the Emma Larsson jazz trio. Marian and I have been enjoying the wine and hospitality at Pellegrini for years, and you can read about one of our summer visits here. Pellegrini Vineyards is located in Cutchogue, NY on Rt. 25. This winery is picnic-friendly. In warm weather, their large outdoor courtyard is ideal for enjoying a sandwich and some wine. Pellegrini’s two-level tasting room holds a crowd, and it was full that day. Tasting room management and staff kept things moving at the tasting bar and tables. Per LI Winterfest practice, $20 at-the-door entry fee gets you a glass of wine. Pellegrini had three wines on offer, their East End Select Rose, 2012 Pellegrini Vineyards Chardonnay, and 2007 Pellegrini Vineyards Merlot. To complement our picnic sandwiches, I started with the Chard, which was rich and toasty. Marian and I have enjoyed this wine with lobster and salmon. It works great with either. Kenny tried the rose, and made short work of it. Soon enough, we were onto the Merlot. With dark fruit and a bit of chocolate, the Merlot was delicious. Guests at neighboring tables were devouring all sorts of picnic lunch fare, and a quick glance showed Merlot, whether by glass or bottle, was the most popular choice. You get the idea… picnic lunch and wine are perfect together. Enjoy yourself! So, the Emma Larsson trio was performing. Who is in the trio? Emma, singer and songwriter, Matt Chertkoff, jazz guitarist, and Yoshi Waki on the string bass. Once again, I found that listing to live music in a snug and homey setting like the Pellegrini tasting room is far more engaging and pleasing than the disconnected experience of simply hearing a recording. When LI Winterfest is on next year, get out and enjoy yourself. Attending a live performance is a great way to make a gray winter day come alive. I really enjoyed the performance at Pellegrini Vineyard, the crowd was appreciating the music and the wine and the vibe was excellent! It was my 2nd time performing there. Emma plays a regular Thursday evening gig at Lime Leaf, a Thai restaurant on W. 72nd St. in New York. If you find yourself in the city, go visit and enjoy. Here is the trio’s playlist, in alpha order. Emma was kind enough to provide this, and to note her original work. 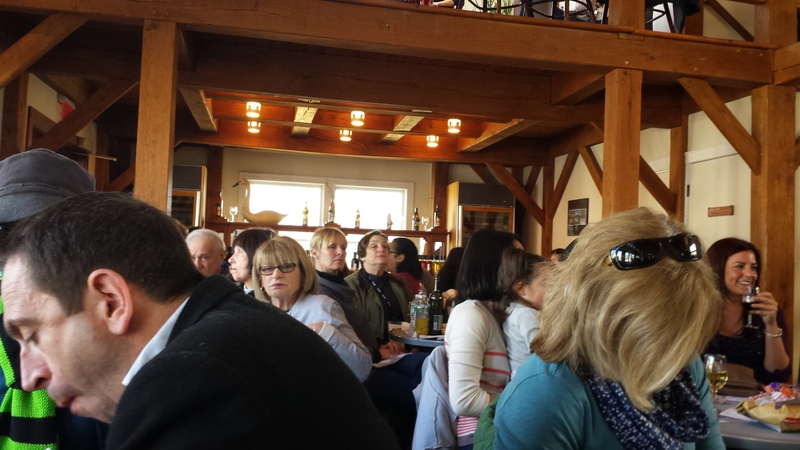 On March 23rd, Marian and I visited Bedell Cellars again, to hear Buddy Merriam and Backroads perform bluegrass. It was our last opportunity to enjoy LI Winterfest 2014, and we’ll tell you about the performance. Until then, enjoy your trip around town.